When you deliver high quality public services and projects you're operating within a complex and fast changing legal framework. Hampshire Legal Services is a dedicated team of some 70 specialist lawyers providing legal support and advice for those involved with the delivery of public services. 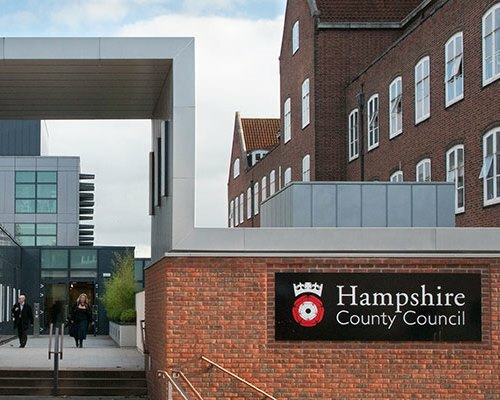 At the centre of what we do is our advice and representation to members and officers across the full range of Hampshire County Council’s activities. However, whilst our focus has traditionally been on our work for local government, the emergency services and schools, we’re increasingly advising a much wider range of organisations that directly or indirectly deliver public services, including charities and not-for-profit businesses. The combination of our breadth of expertise, public sector experience and ability to deliver a cost effective solution, together with our commitment to providing a first class service, enables us to deliver real and lasting benefits for all of the clients we serve. We very much hope that we can have a discussion with you about how we can help to meet your objectives and to address the challenges ahead. Please note that we do not accept service by email.